Planning a safari is no easy undertaking, so here our specialists at Audley have tried to neatly sum up the quintessential appeal of Africa’s headline safari locations. They outline what differentiates Kenya, Botswana and South Africa, and give their take on the main draws. But, traditional wildlife-spotting safaris don’t necessarily need to be the focal point of a trip: we also explain why Namibia and Tanzania offer alternative takes on the ‘Big Five’ safari. And for each safari destination, we also recommend some of the very finest camps and places to stay. 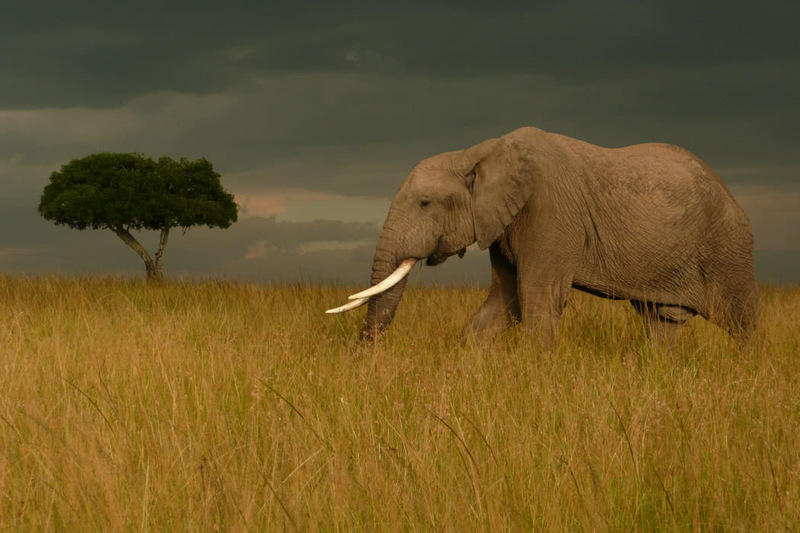 Several factors combine to make Kenya ideal for a first safari. As Africa’s longest established safari destination, everything is well set up, plus its British colonial roots mean that everyone speaks good English. Then there’s the chance to experience several different landscapes and wildlife species within a relatively condensed area: you can go from the grassy savannah wilderness of the Masai Mara (home to the Big Five, and one of the stage sets of the Great Migration) to the more arid, scrubby areas of Meru National Park and the Laikipia Plateau. Here, you might find more under-the-radar creatures such as beisa oryx and Somali ostriches. One camp we enjoy returning to again and again is Ol Sekis Hemingways. It crests the top of a scarp in the Naboisho Conservancy, part of the Serengeti-Mara ecosystem, and its spacious safari tents are positioned to make the most of the views. Guides are from the local community, and boast an encyclopaedic knowledge of the area’s vegetation and fauna. Meanwhile, Karen Blixen Camp in the Mara’s North Conservancy has an equally scenic, if very different, location. Its tents and boma lounge on the banks of the Mara River, and guests are often treated to the snorts and splashing sounds of the resident hippo pod. With good road access from Kilimanjaro Airport, Africa Amini Life’s Maasai Lodge merges almost seamlessly into the surrounding flaxen steppe; on clear days, Kili’s hulking, snow-smeared peak dominates the horizon. A stay here is probably as close as you can get to living among the Maasai without sacrificing any Western comforts: it’s an authentic, interactive experience that goes far beyond the delivered-on-cue song-and-dance performances you might sometimes see put on for tourists. And all profits generated are driven back into Maasai communities. Not that you won’t hear singing. In fact, you’ll arrive to a jubilant greeting sung by a team of warriors dressed in their customary tartan-like shuka cloths. These are not costumes: they’re simply everyday clothing. At Amini, guides and staff share meals with you. 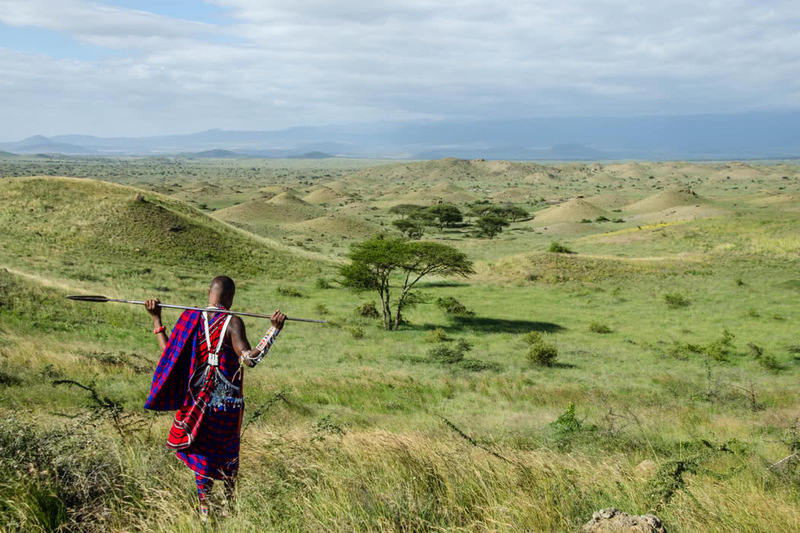 Then they’ll lead you in all kinds of activities, from beadwork to spear-throwing competitions and botanical bushwalks, allowing you to gain a first-hand understanding of Maasai life. You sleep in Maasai-style huts embellished with handcrafted furniture and rich textiles. It’s a good indicator of how the property mixes Western-style luxe treats (such as fine dining, a pool and a spa) with the Maasai lifestyle — expect ugali (a polenta-like dish) and roasted goat for dinner one night. Scorched desert and verdurous delta combine in what is perhaps Africa’s most exclusive safari destination. But where does this reputation come from? Well, visitor numbers to the country are limited and camps are remote, situated in areas that receive a lot of footfall from game. 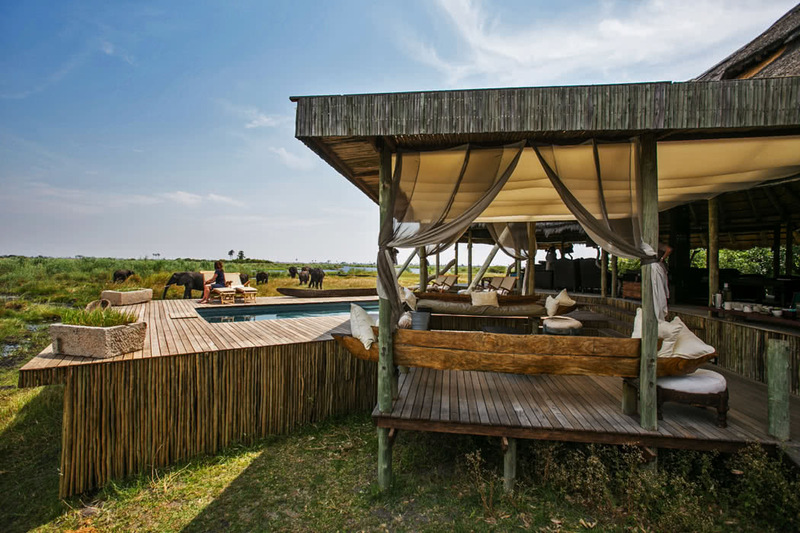 Selinda Camp (see image 3) in the Selinda Concession is a classic example: its nine luxury safari tents occupy a palm island with views onto the Selinda Spillway, a watercourse linking the Okavango Delta and the Linyanti Wetlands that’s frequented by elephant and buffalo. Tents have their own private verandas overlooking watery plains studded with termite mounds, and meals are served either outside under the shade of a tree or within the open-sided, thatched main building of the lodge. There’s also a small plunge pool for when the sun burns a little too fiercely. The service is discrete without being fawning. But the real trump card? The guides. Selinda’s are exceptional: all are trained photographers, and they’re adept at finding animals simply by listening to the sounds of their calls or interpreting their tracks in the ground. Arguably, this makes for a more organic safari experience. Activities include boat trips (water levels permitting) on the waterways as well as the usual roster of game drives and bush walks. The potential prime sighting? Wild dog, who are thriving again in this regions thanks to redoubled conservation efforts in recent years. South Africa’s Eastern Cape game reserves are well-suited to multi-generational wildlife seekers: they have the bonus of being malaria-free and are relatively accessible by car if you’re driving the Garden Route. But this doesn’t mean you compromise on drama: Shamwari Game Reserve, for example, hugs the banks of Bushman’s River and is a hilly mosaic of shrubland, fynbos and grassland. It shelters not only the Big Five but antelope, impala and springbok (some of which are remarkably casual about vehicles approaching them). 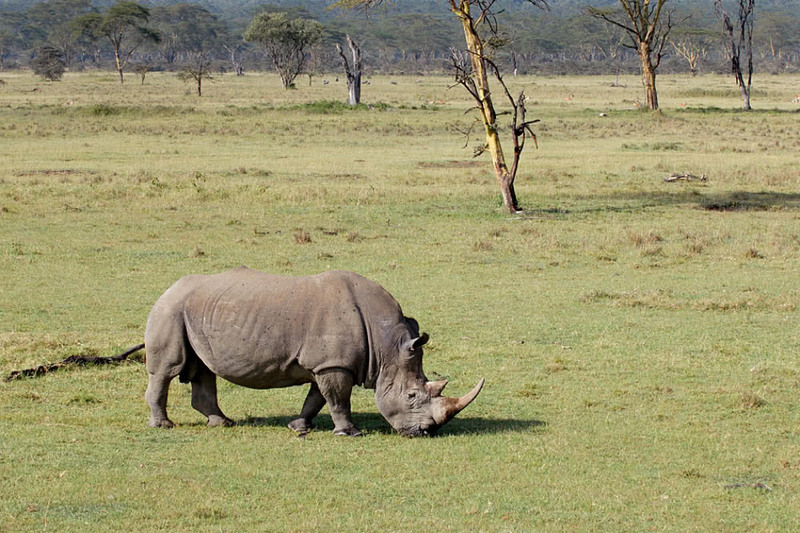 Rhino are often sighted. Vehicle numbers are restricted, so you’ll rarely be sharing your sighting with a host of other onlookers. Shamwari Game Reserve has several accommodation options but we particularly like Riverdene Lodge, a sprawling property based around a restored homestead and barn. It caters particularly well to families, including children aged four and above. As well as supervised play areas, they offer lots of children-orientated activities and a babysitting service. South Africa allows families to make the most of their time in the country by combining a safari with other highlights: the Kwa-Zulu Natal Battlefields, say, or the hiking trails of the Drakensberg Mountains. Happily, family-friendly properties are the norm all over the country: we’re also fond of More Quarters in central Cape Town. Namibia has some of the most unusual, head-turning scenery in all of Africa, as well as wildlife. We’re particularly captivated by the NambiRand Nature Reserve: here, acacia trees dot plains of russet-red, almost Martian-looking earth. Elsewhere, vast vegetated dunes scoop and slide between mountains and yellowy plains. You can explore the reserve through guided drives, short ambles and sunrise hot air balloon trips followed by champagne breakfasts. Guides will show you desert flora and help identify some of the species that make these far-flung hinterlands their home: Hartmann’s zebra and diminutive klipspringers, as well as smaller specimens such as chameleons. Camp-wise, we like Wolwedans Dune Camp, whose cosy rush-mat-lined tents look out over the reserve’s plains and distant mountains; your bed can also be pulled out onto a deck and made up outside, so you can sleep in the open air, should you wish. Etosha National Park in the country’s north is the prime game-viewing area of Namibia. Elephant and lion, rhino, giraffe, impala, oryx and springbok gather at the park’s watering holes, and they can be often be observed on guided or self-drive safaris. As an added bonus, the park boasts some otherworldly topography: vast endorheic salt pans. Their crusted salt deposits sparkle in the heat, making the whole pan give off an eerily bright white glow.